When will be Ancient Aliens: Declassified next episode air date? Is Ancient Aliens: Declassified renewed or cancelled? Where to countdown Ancient Aliens: Declassified air dates? Is Ancient Aliens: Declassified worth watching? 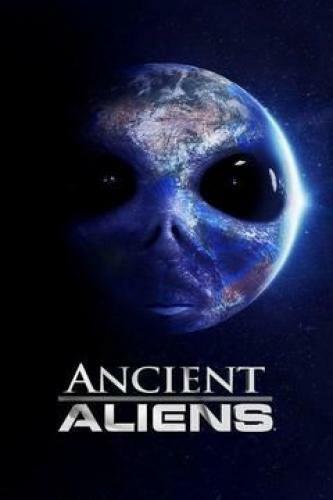 Ancient Aliens: Declassified is a series that airs extended enhanced episodes with extra information, deleted scenes and bonus unseen footage from the show "Ancient Aliens" that also airs on the History Channel. A theory that alien beings killed off the dinosaurs to allow the rise of humankind is explored. The possibility of extraterrestrials instructing the ancients to build complex structures is explored. Megalithic structures found on different continents are similar, and the cutting and moving of the stones used to build these would be a struggle for modern day machinery. From the jungles of Costa Rica to England's rural countryside, ancient people achieved feats of construction without advanced tools or technology. Ancient man's spectacular structures and the possiblity they bear evidence of being designed and interconnected by otherwordly visitors is explored. Included: ancient civilizations focus' on the Orion constellation; secret messages that may reveal the purpose behind our very existence; unlocking the mysteries of the universe; the meaning behind secret messages found throughout Washington, D.C.; and did America's Founding Fathers know something about ancient aliens. Ancient Aliens: Declassified next episode air date provides TVMaze for you. EpisoDate.com is your TV show guide to Countdown Ancient Aliens: Declassified Episode Air Dates and to stay in touch with Ancient Aliens: Declassified next episode Air Date and your others favorite TV Shows. Add the shows you like to a "Watchlist" and let the site take it from there.